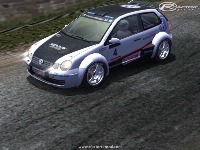 This project is an addition to the VW Polo Challenge by SimCo and will be released as an add-on to that mod. 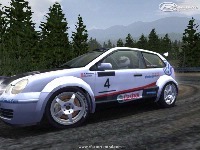 Although it's listed being a 'dirt rally' mod it will initially feature a tarmac based version. Aim of the project is to create a car that comes close to the real world VW Polo S1600 rallycar, based on real world data. Geometry, tyres and engine performance are built from scratch using carFactory, MoTeC and a lot of testing hours. The car is designed to work with 100% RealFeel. The project is on hold for quite a long time now, so no news to report. I've spent a really long time on the suspension/geometry and engine, I think they're close to how they should be. 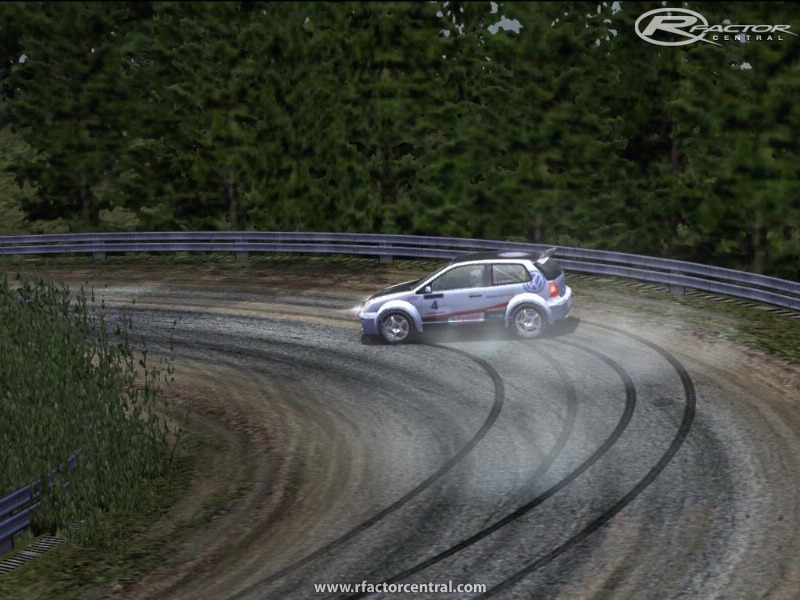 Biggest issue are the tyres: it's near impossible to model a proper rally spec tarmac tyre in rFactor, they give way far too easy (unlike a real rally tyre). To get things right requires a lot of research and testing, and preferable someone (with rallying knowledge) willing to test drive the car and give feedback. As the focus of this project is more on physics rather than looks, I won't be spending any time on the 3D model, textures or any other graphics. The first release will probably feature just one, single livery car. The track by the way is Raceking's Rally China. looks great! any info on progress? what rally track is it, by the way?